I currently have 6 bears on the go and consequently nothing seems to be happening fast :) I spent today fiddling around with most of them in between doing housework and washing ... so I thought I would show you. 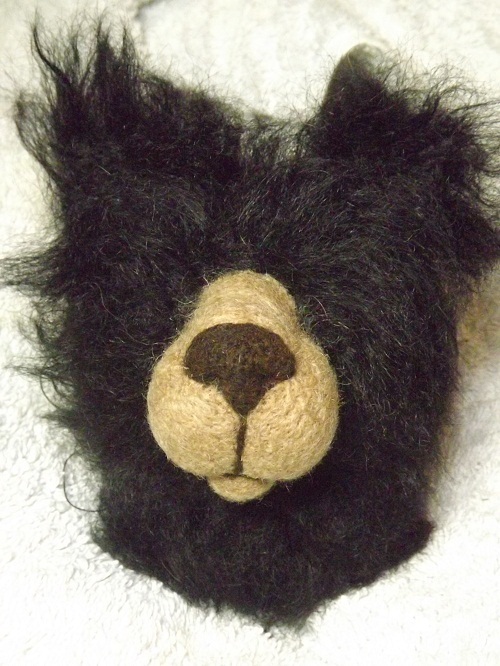 This first bear in the photo below is a new design for me - which I jumped straight into the mohair with. 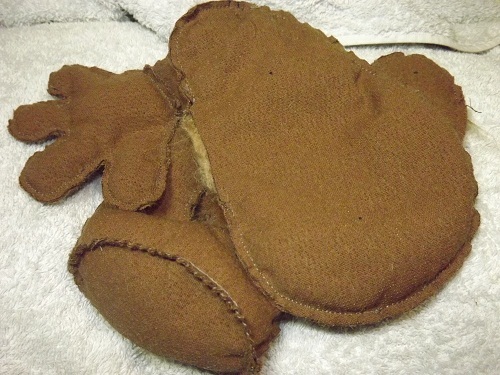 His face and feet are roughly felted but the poor bear has no eyes and his ears are only pinned on. Eventually (I hope) he will be a realistic "ish" bear with a double neck joint. WIP 2 is a black realistic bear in a design I have done before. 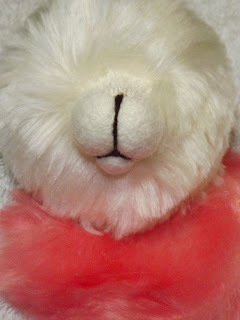 Another double neck joint here .... maybe I have a bit of a theme going :) Again, poor bear is still blind and deaf but by this time tomorrow he should be able to see and hear everything. WIP 3 is a character bear, who at the moment can't hear see or smell :) I hand dyed the mohair a while back and it just looked girly :) WIP 4 is similar to this girl but in a lovely bright yellow. WIP 5 is a bear who will be going off to the first competition/show of the year. I am rather proud that I have started him already as I am usually running late and the bear is only started in the week before and most work is done on the night before they get posted off :) So far I have only stitched him up but the mohair has been so lovely to work with I have enjoyed the whole thing. WIP 6 had nothing done at all, poor fellow just sat in pieces in his ziplock bag and didn't even get to be part of the photo shoot. 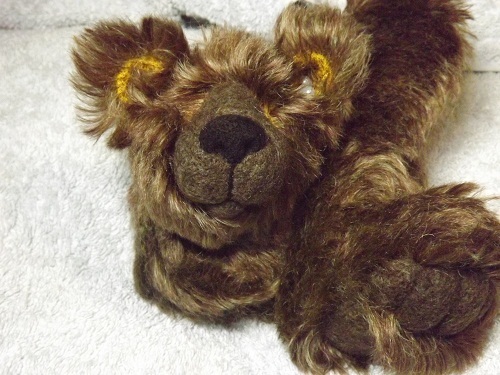 He is a biggish traditional bear in a sparse mohair with no needlefelting.